Connections for chain and attachments. 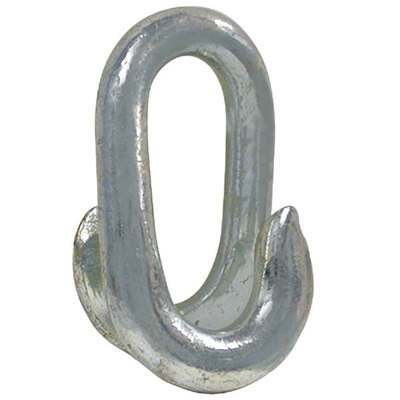 Chain is inserted, then link is hammered closed. Low carbon steel. Zinc-plated. Do not use for overhead lifting.